Various different industries have jobs which involve the handling of sharp materials. From automotive assembly, to mechanical engineering, to waste removal, sharp materials can be a real hazard in many workplaces. If this is applicable to your line of work, it is important that you and your employees are adequately protected from such hazardous materials, which may include broken glass, sheet metal or car parts. The Black Mamba Cut Resistant Gloves PR-CTR are made from Ultra High Molecular-Weight Polyethylene Fibre. 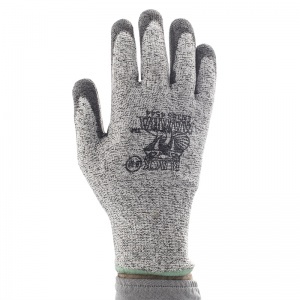 Fifteen times stronger than steel, the gloves provide the user's hands with excellent protection, preventing cuts caused by handling sharp objects. 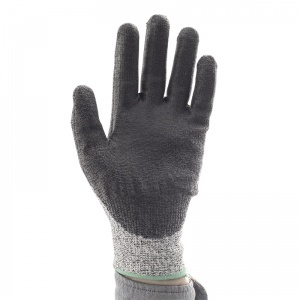 Despite this, the lighter glove is comfortable and does not limit dexterity, enabling you to get on with your job without your hands being too weighed down. The assembling of cars, and machinery in general, is a job which involves handling of specific components and parts. These are often made from potentially sharp materials like metal and glass. In addition, workers may also rely on their hands to perform intricate and careful tasks. Therefore, a safety glove which protects the user's hands from cuts without limiting their dexterity is important within this industry. The Black Mamba Cut Resistant Gloves deliver this: the tensile strength is relative to the gloves weight, meaning the glove is lighter. That way you can rely on it to protect, without compromising your comfort or dexterity. Window installation puts workers in regular, direct contact with glass. 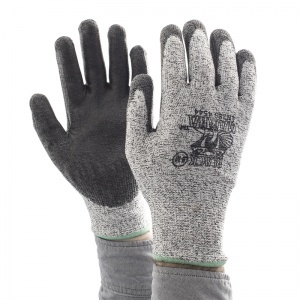 Cut resistant safety gloves are therefore a necessity. 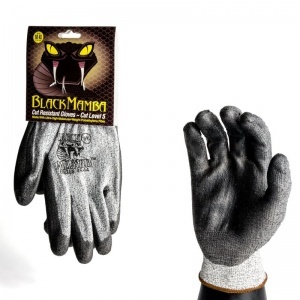 The Black Mamba Cut Resistant Gloves may be particularly suitable as they feature a black polyurethane coating: as well as providing additional protection, this coating ensures superior grip. Whilst gloves made from certain, softer materials may be a slip hazard, the polyurethane coating can give you confidence when carrying panes of glass that they will not slip from your hands and smash. Those who work in the waste disposal industry may regularly come into contact with a variety of sharp objects, from glass bottles and broken shards, to the edges of cans, to general broken materials which have been disposed of. Many rubbish disposal people may wear gloves to protect against general dirt and contamination from waste, but do your gloves protect you from cutting yourself? The Black Mamba Cut Resistant Gloves feature a coating for extra protection, to prevent you from being hurt by sharp discarded materials. This polyurethane coating is breathable as well as strong so your hands can feel both fresh and protected. 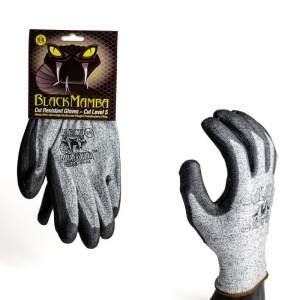 The Black Mamba Cut Resistant Gloves PR-CTR are available in sizes M - XL. Please select from the drop down menu above.